Hengelsport Pluys, al meer dan 40 jaar een begrip in de visserij . Can be used on their own or as part of a system with the Quick Release Method Mould. 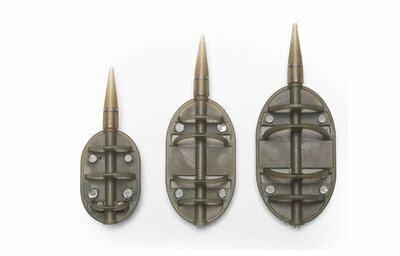 The flat-bottomed design makes them ideal for all situations, including casting tight to the sloping banks of an island. The recess in the front of the feeder accepts a size ten swivel or a Preston Ring Swivel, which will provide just enough tension to make a semi-fixed rig. Alternatively they can be used with Korum Quickchange Beads to make a completely free-running rig.